The Coca-Cola system in Kenya has announced an investment of nearly $100 million in Kenya, as it seeks diversify its product offerings in Kenya, in line with the company’s global move to become a total beverage company with a wide offering of soft drinks to suit the changing customer tastes and buying habits. The new drinks will be produced locally through a new $26 million dollar, hot fill line at the CCBA- Nairobi Bottlers Ltd in Embakasi. 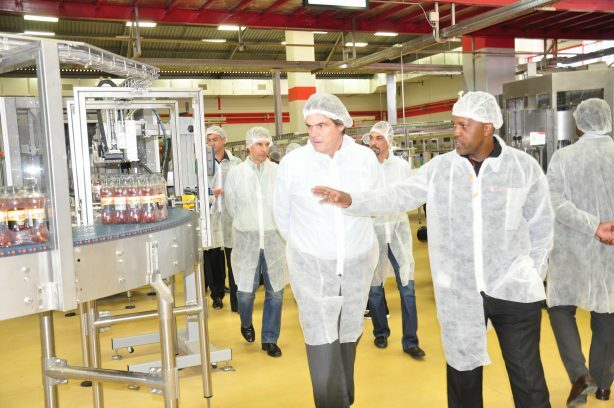 It brings the total investment by The Coca-Cola Company in Kenya, between 2016 and 2018, to $90 million, with other noteworthy investments including the manufacture of packaging material such as glass in Nairobi, Mombasa and Nyeri. The new filling line is currently being used in the manufacture of the Minute Maid range of juice, and will extend to production of other soft drink beverages starting 2018. “We no longer see ourselves as just a soda manufacturing company; The Coca-Cola Company has grown to be bigger than brand “Coca-Cola”. In 2016, we embarked on a transformational journey, as the leader of the beverage industry, that places our stakeholders and consumers firmly at the center of our business strategy. This is important if we have to grow responsibly,” said Brian Smith, the President for Europe, Middle East and Africa (EMEA) at The Coca-Cola Company, during a visit to Nairobi. This was Smith’s first visit to Kenya in his official capacity, having been appointed to the position last year in May. He is one of the direct reports to James Quincey, the President and Chief Executive Officer of The Coca-Cola Company. In his role, he oversees the operations of six clusters, including the South and East Africa Business Unit, where Kenya falls. In 2014, The Coca-Cola Company announced a $17 billion dollar investment in Africa, which was double what was invested in the continent a decade before. The Coca-Cola Company has been in Africa for almost 90 years, and in addition to creating direct and indirect employment for thousands and impacting households, it has been actively involved in a number of corporate social investments, the latest being the $10 million response to immediate and long-term measures to address drought in the African Sahel region.